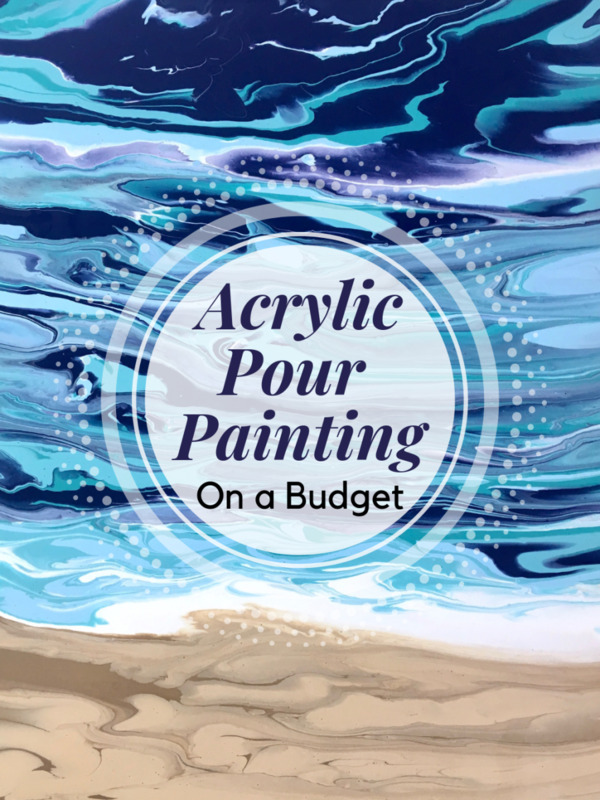 Painting a picture of your own dog doesn't have to be a difficult task. 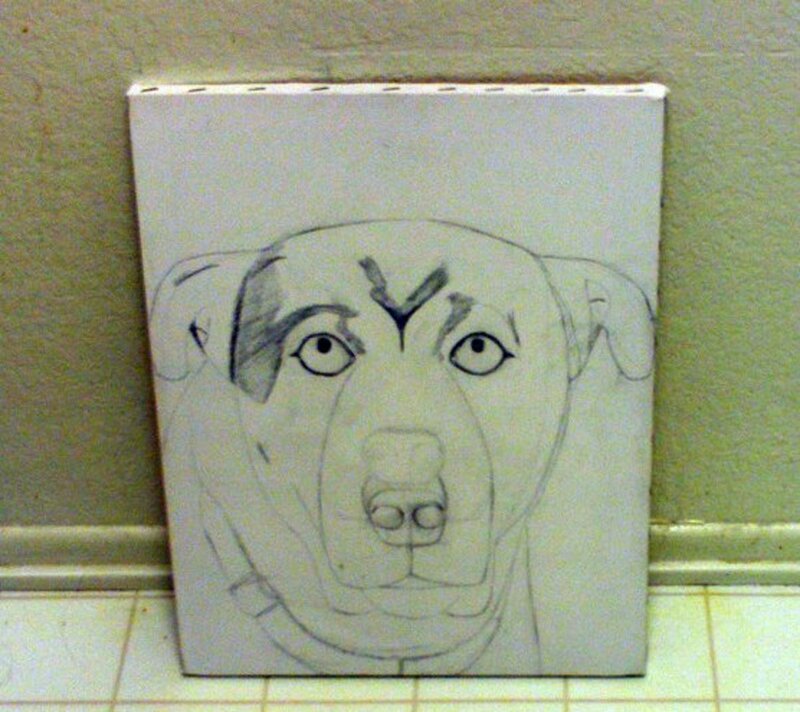 I decided to sketch and paint a picture of my dog Buster, who was a loyal friend and family pet that passed away in 2007. Have you ever seen the movie Marley and Me? It's a touching tale about how John Grogan raised a really wild but lovable dog. In many ways, Buster reminds me of Marley. I identified with how Marley ate drywall because Buster used to do that, too! 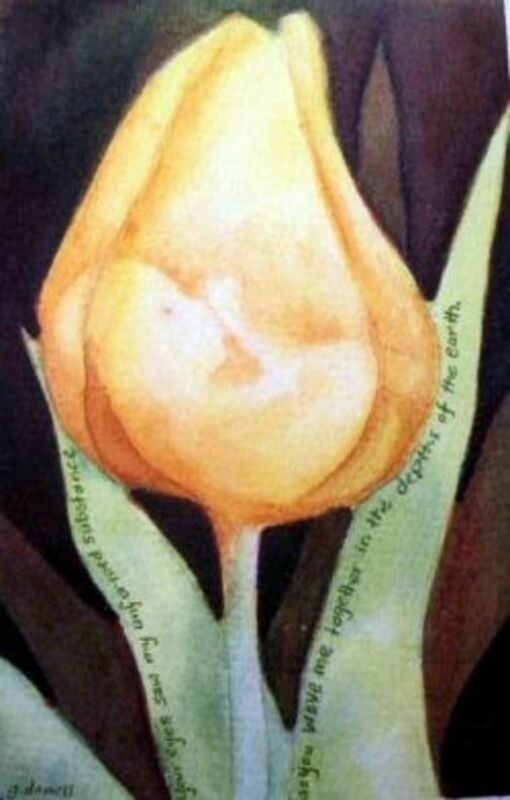 The movie inspired me to paint a picture to celebrate Buster's life. 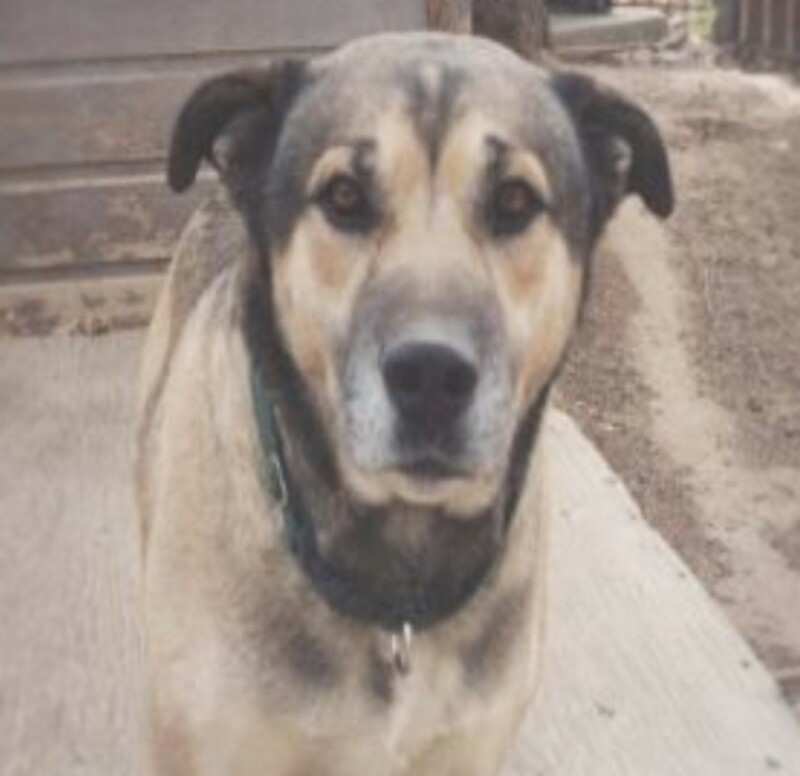 He was a mixed bread Siberian Huskey/Boxer dog, and his life was not in vain! This photograph of Buster was used as a reference for the dog painting. Choose a photo to reference when sketching a picture of your pet. I decided to use one of Buster from his backyard back in October of 2002. 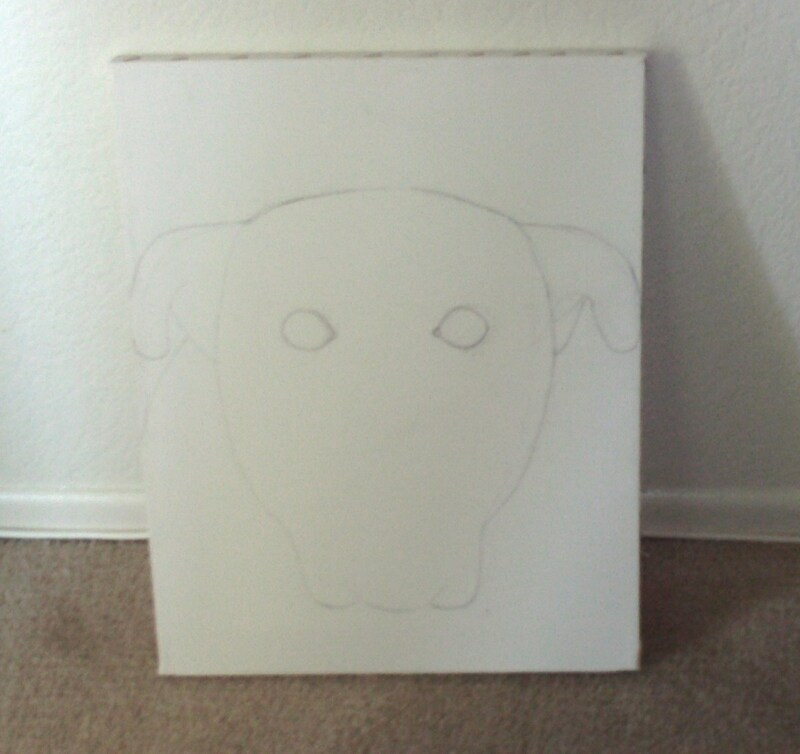 Here I have sketched out the outline of Buster's face. 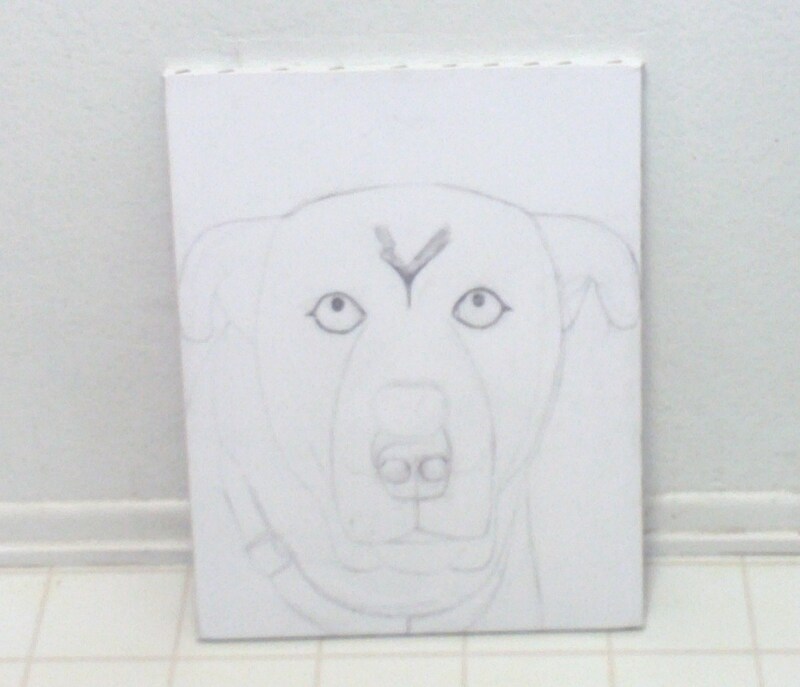 I lightly sketched out the dimensions of Buster's face on the canvas, which will make painting easier later on. Here I have added the eyes, nose, and mouth to Buster's face. 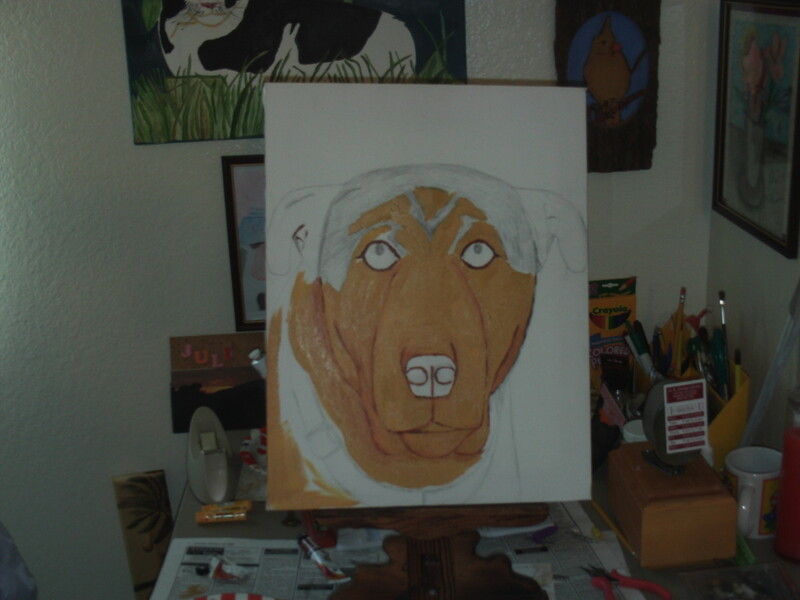 I began sketching out the eyes, nose, and mouth on Buster's face. I also added in the ears, jawline, and Buster's color marks. 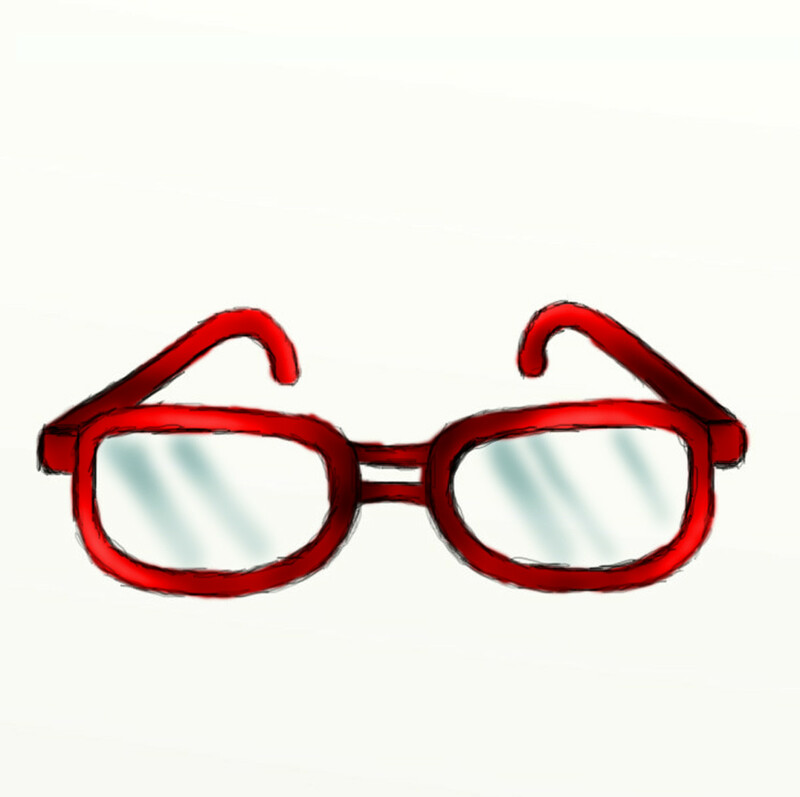 Here I shade in the darker portions of Buster's face. Here I begin to add the lighter portions to Buster's face. 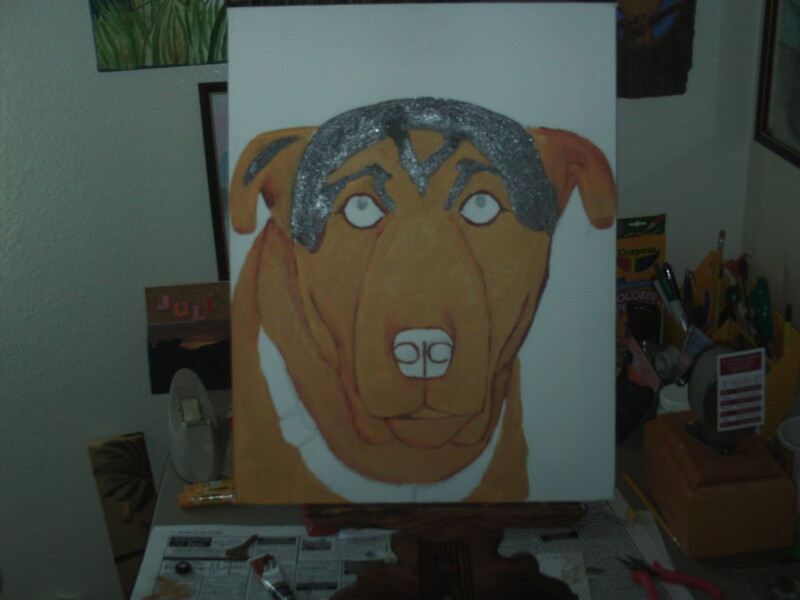 I used beige-colored oil paint to begin filling in the lighter portions of Buster's face. White paint will be added later on to add even highlights. 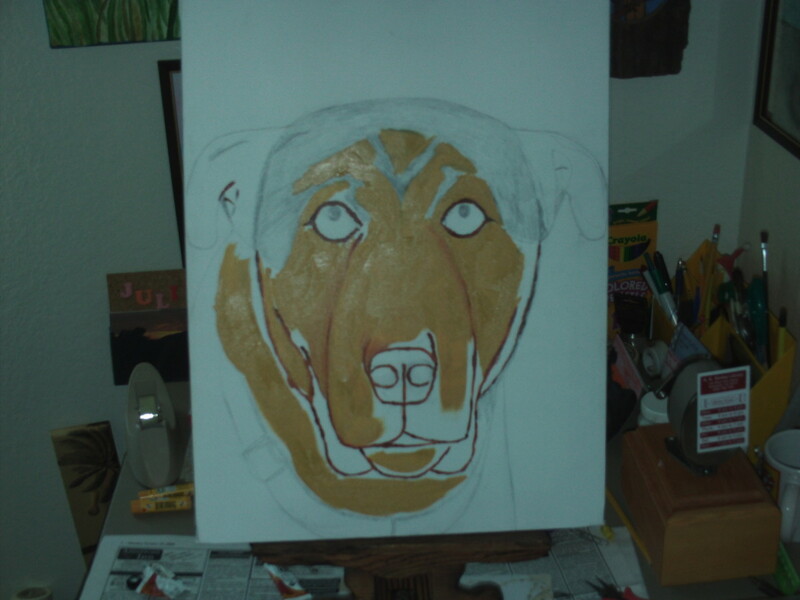 Here I use sienna paint to outline the features of Buster's face. Using a small brush, I outlined the jawline, the face, the ears, the eyes, and the darker portions of Buster's face. Later, I will go in and add more layers of paint. For now, the sienna color helps distinguish the more shadowy portions of the face. In this step I continue to fill in the lighter portions of Buster's face. Continue to paint in the beige portions. The sienna-colored outlining helps me stay in the lines. Here I have finished painting in the beige portions of Buster' face. Here I have finished painting in the beige portions of Buster's face, so now I can move on to the darker parts of his visage. 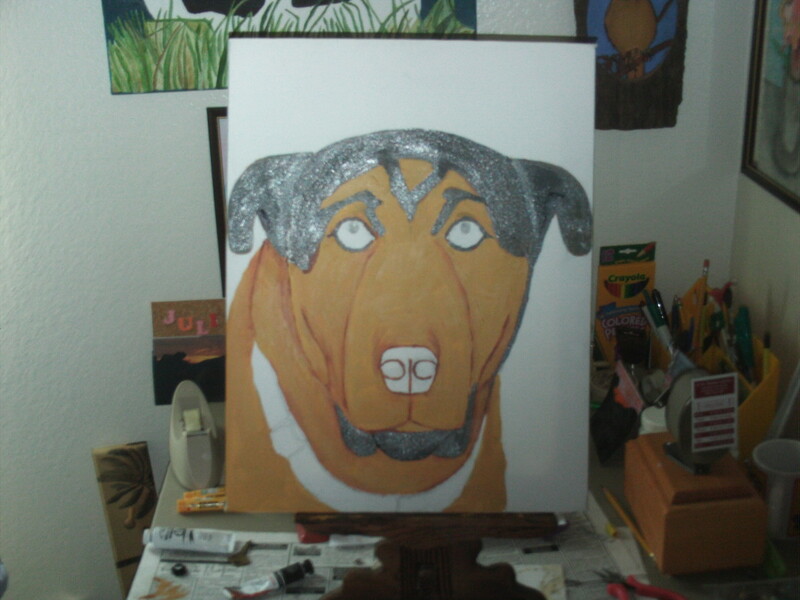 Gray tones of paint are used here to achieve the dark portions on Buster's cranium and ears. I mixed sienna, black, and white paint together to achieve the gray color to use on Buster's face. I used white paint to highlight parts of the darker regions. 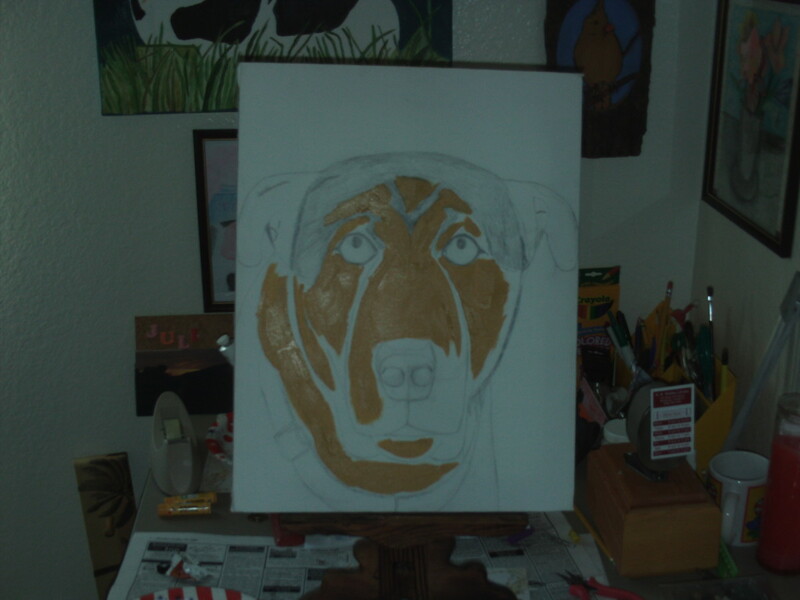 Continue to paint the darker portions of Buster's face. Continue filling in the darker portions. 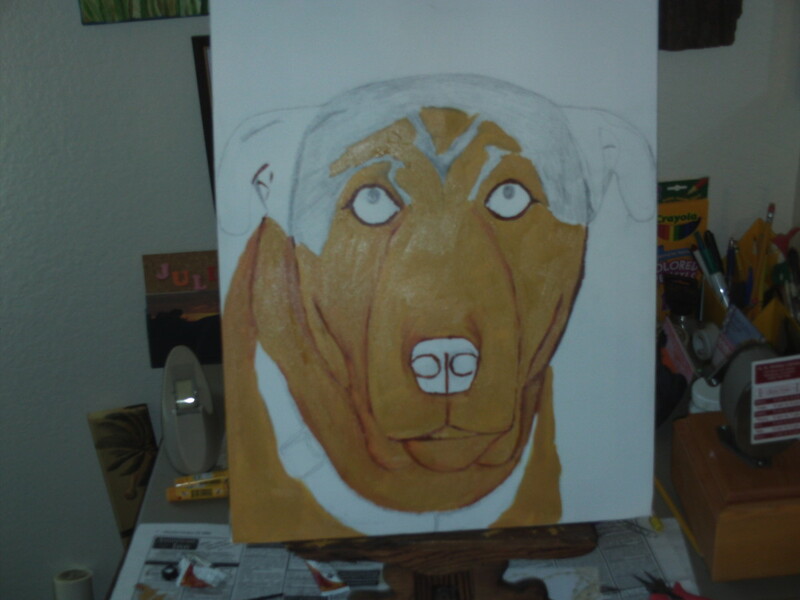 The painting is not done as of yet, but part one has demonstrated how painting your pet is definitely a labor of love. Happy painting, and remember to use the style that works best for you! SweetiePie, it's really great that you are commemorating Buster like this. 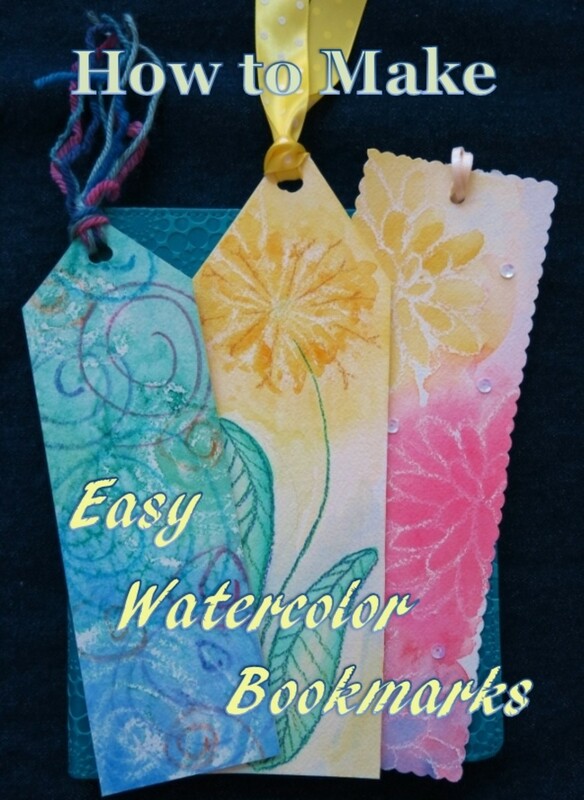 I love the step by step way you show the process, too! Thanks for the comment Aguvulpes. I have part two up if you want to see it :). 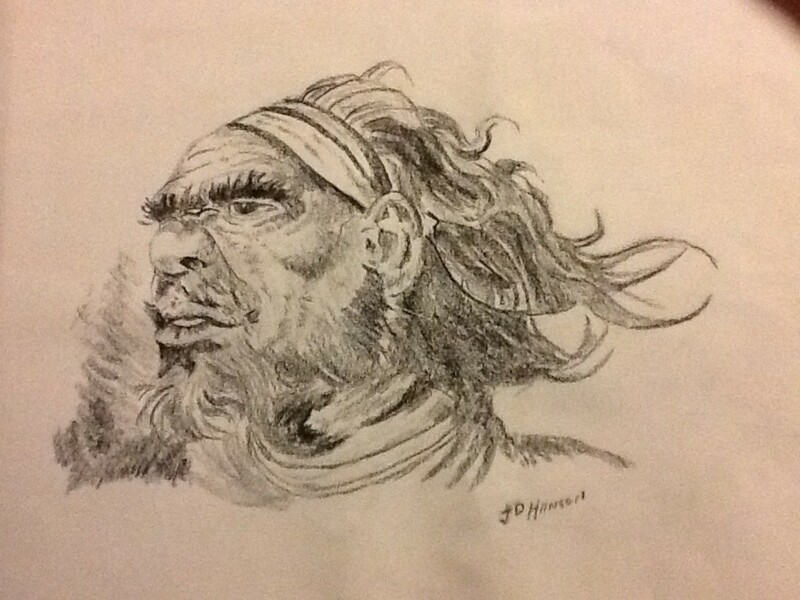 I can tell you are an artist, and I hope to see some of your art work some day. Hopefully you can write some hubs about it. I miss Buster so much, and I still think of him as the diplodog because he used to love to shake hands. One time my hands were busy emptying the dryer, and the minute they were free a paw came right into my hand because he wanted to shake so bad :). Such good memories. Glad to hear you liked it dear. Thanks for the lovely compliment :). I love painting, a hobby of mine infact. You are doing a great job on your painting of Buster. I had a dog like buster before (Chelsa),..miss her very much. To bad these great dogs couldn't of been cloned. Look forward to seeing the painting when your finished. I appreciate your comments C.S. Alexis! Looking forward to part two Sweetie. Thumbs up! You are very sweet. 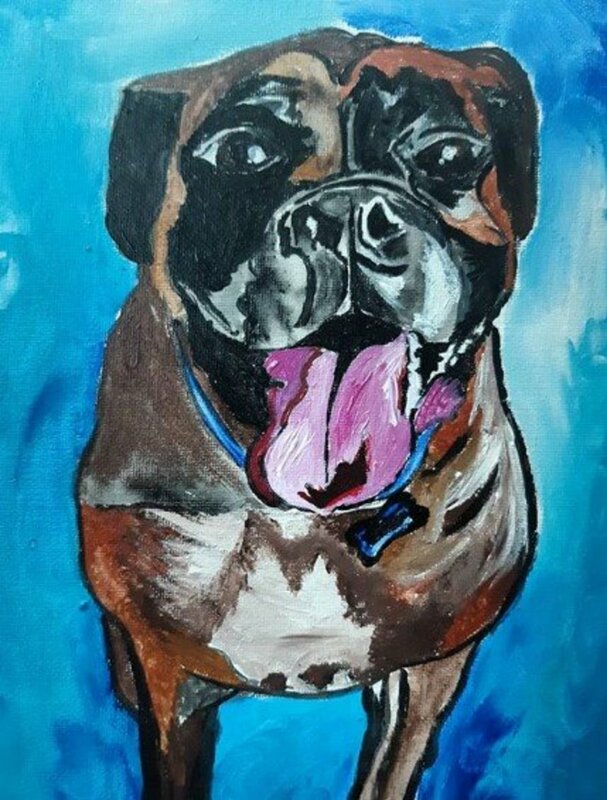 Actually there is a great video on Youtube that I discovered last night that makes painting a dog very easy, even if you do not know how to draw. I will try and send you this video is you are interested. Hmmm... Sweetie Pie, you make it look SO EASY!